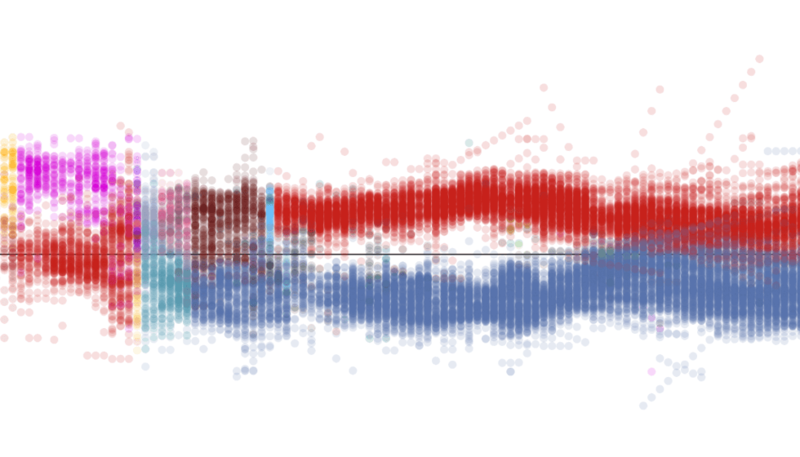 I worked on one of the six Timeplots political posters, which depicts the ideological history of U.S. House of Representatives overtime based on voting records. On the poster, each representative is shown as a dot and color-coded by the affiliated party. I also wrote about my thoughts and methodology in a blogpost.